Feel Good. Beautiful. Flexible. Strong. 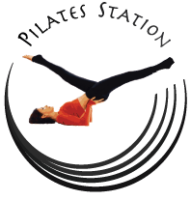 Founded by Master Patricia Duchaussoy, a former dancer with 30 years experience and one of Asia’s best Pilates Instructors. She opened Bangkok’s first professional Pilates Studio in 2004 and helps people to change their bodies since over 20 years. The Original place where Yoga Fly / Body Fly was created in 2009.
International Academy – Here, Instructors from all over the world get trained and certificated in Pilates and Yoga Fly / Body Fly.